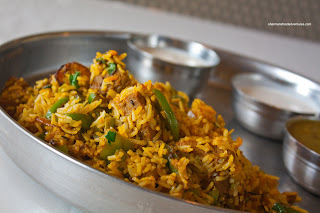 Anyways, I ended up eating alone and went for the Lamb Biryani. This particular version was thoroughly mixed with peppers, onions, tender lamb and spices. I asked for spicy and it delivered in that respect. I wouldn't say it was tongue-numbing; but it might be too much for some people. Despite being spicy, I still could taste the other components. I thought the rice was perfect in texture as it was chewy in an al dente type of way. I really enjoyed this dish. 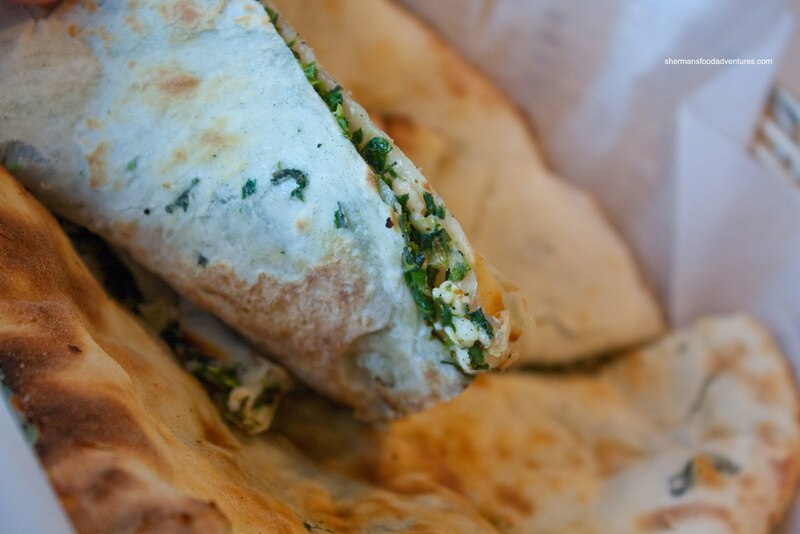 As a side, I got the Spinach & Cheese Naan. This was also very good. I found the naan to be warm and soft with the right combination of spinach and cheese for flavour. I liked how the filling did not compromise the texture of the naan. However, I would've liked the exterior of the naan to be a bit more charred. Seeing how this visit didn't give me enough of a sample to adequately make up my mind, I went again. But, Mijune finally decided to join me and that allowed us to order a bit more food. She is awesome to eat with since she has a bottomless pit of a stomach. So we decided to go with our server's recommendation of the Chicken Jalfrazie which is a combination of boneless chicken marinated with fresh ground spices sauteed with tomatoes, peppers and onions. From the colour and smell, it was obvious that there was the usual Indian spices of turmeric, coriander and cumin. It was moderately spicy which gave the entire dish a yellow curry-type of flavour profile, except the other components added an almost "Chinese" slant to it. You see, Chinese curry is yellow and has peppers and onions in it; thus the similarity. This was a good dish, especially with the tender chicken; but it wasn't remarkable. 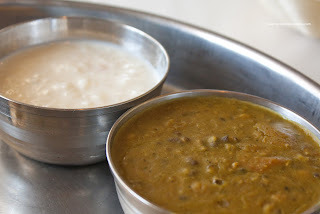 In addition, we shared the Dinner Combination that included Lamb Curry, Butter Chicken, Dal Makhani, Basmati Rice, Raita, Kheer, Saag and Tandoori Chicken. I thought the lamb was extremely tender, to the point it required very little effort to chew. It had a richness to it and the usual Indian spices were present (such as cumin and coriander); but it had very little impact. I found the butter chicken to be somewhat flat. The sauce was a bit thin and the flavours to be muted. I neither found it creamy nor tomatoey. It was somewhere in the middle, which is not necessarily a bad thing if people like that. The chicken it self was in very large chunks which kept it tender. I really enjoyed the lentils. They were creamy and there was no shortage of flavour. The same could be said about the saag. Again, the familiar Indian ingredients resulted in a creamy spinach concoction which was delicious. Too bad there was no paneer. I love paneer! 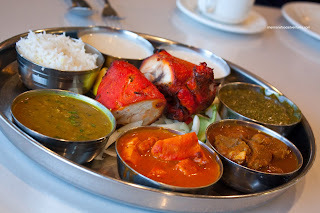 The one thing that kinda brought the whole combo down was the tandoori chicken. To be fair, it was the breast and we were expecting it to be dry; but it was really dry. Furthermore, it wasn't really all that flavourful either. I loved the colour and the slight char; but it didn't tr anslate into any impactful flavour. 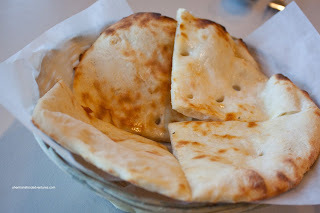 We also had a side of regular Naan and as you can see, there wasn't significant charring. That in itself didn't make the naan bad; but I just personally like it with more colour and slight burnt portions (sorta like Neapolitan pizza). Now, with all my criticisms about the food, you might think I don't like the place. On the contrary, I still think the food is more than acceptable. I particularly like the friendly people who run the place. 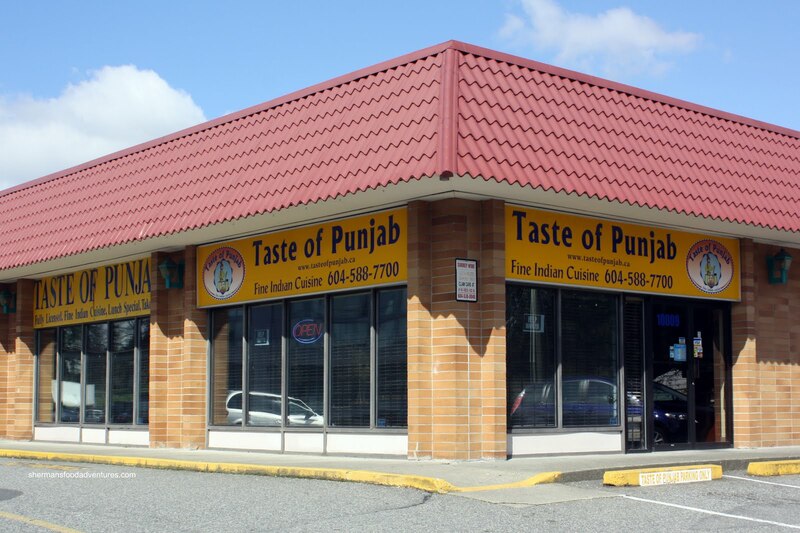 However, with that being said, there is still plenty of choices in Surrey for good Indian food. I LOVE this place! 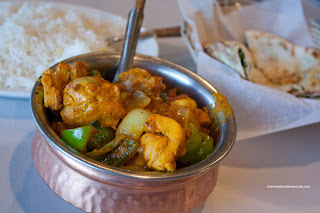 I don't eat indian very much so I am not the kind of person who knows what anything is on the menu, but if fun trying new things. I sometimes miss living in Whalley for the restaurants. This is our safe Indian place to eat. We love it because we get FREE rice for all that awesome sauce!! @Dave Yes, very solid place and great service!